How do we ensure that scientific tools, techniques and outputs (e.g. models, software, analytical techniques) are used in the ‘applied world’ of industry and government? Many expensive software, models and research outputs are not used, or fail at the implementation stage. 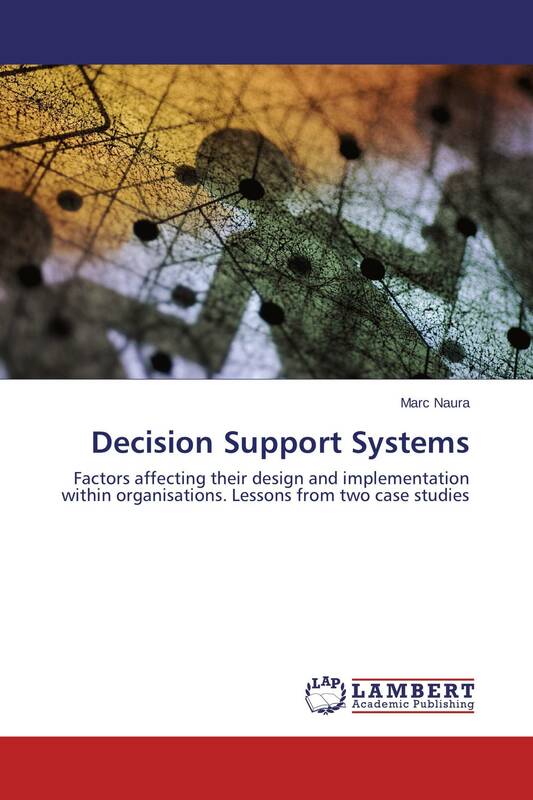 In this book, we investigate the factors affecting the uptake of a group of software called Decision Support Systems (DSS) in organisations. We particularly concentrate on the study of DSS interactions with organisational culture, and the ‘frictions’ that assumptions taken in their design may generate with existing work practice and organisational beliefs, potentially leading to their rejection by users. We further propose a methodology for developing DSS that accounts for organisational and cultural factors, with the aim of increasing user acceptance and uptake. We demonstrate the application of the proposed methodology in a case study with a major environmental organisation in the United Kingdom.